This week marks three years since I started Healthy Green Kitchen. What a journey it has been: I’ve written over 500 posts! Early on in my blogging “career”, I would visit the sites that had been around for a while- the ones that clearly had staying power- and wonder how the bloggers did it…how did they stay inspired and motivated day after day, month after month, year after year? What kept them going? Well now I know the answer: it’s the readers and all the friends made along the way that keep a blog going. My life is so much better because of all of you! As you may recall, my cousin got married last week. I’d heard some great things about The Newlywed Cookbook: Fresh Ideas and Modern Recipes for Cooking With and for Each Other so I bought it for my cuz and her new hubby. Well, I loved the book so much I kept it for myself (and need to order them another copy)! Author Sarah Copeland is my new hero: the book is filled with such beautiful recipes and writing…truly a celebration of building a life together filled with all things delicious. You absolutely do not have to be a newlywed to adore The Newlywed Cookbook, though- I strongly recommend you add it your collection. If you need a gluten-free sweet tart crust, I’d try this one over at Serious Eats. Once again, I am SO thankful for you my readers, and all of your support. I wish we could sit down together in my kitchen and each have a slice (or two) of this incredible tart, along with something bubbly to toast three great years! I made a few changes to author Sarah Copeland's original recipe that I need to mention. First, I replaced 1/2 cup of butter with 1/4 cup olive oil in the crust; I also used a combination of unbleached all purpose and white whole wheat flour in the crust. Though I am sure Sarah's version is very delicious, I loved the result of both swaps. For the filling, Sarah calls for 1/2 cup heavy cream and 1/2 cup whole milk. I used 1 cup whole coconut milk in place of the two and was very pleased with the result...I don't think you can taste the coconut milk at all and the filling set beautifully. 2. Make crust by whisking together the olive oil, coconut sugar, vanilla and sea salt. Add the flour(s) and stir everything together (Sarah says it should "feel like damp sand" at this point). 3. Use a piece of parchment (or rub a little olive oil on your hands) and press the dough evenly along the bottom and a bit up the sides of an 8-inch square or 9-inch round tart pan with a removable bottom (or use smaller, individual tart pans). Prick the crust all over with a fork and place in refrigerator until ready to bake, about 30 minutes. 3. After it has chilled, place the pan on a baking sheet and bake until golden brown and fragrant, about 25 minutes. 4. While the crust bakes, make the chocolate filling. Start by pouring the contents of one can of coconut milk into a medium bowl, and whisking it well so the thicker coconut cream is fully mixed with the thinner coconut water. 5. Measure out 1 cup of the coconut milk (refrigerate the rest and use in another recipe) and transfer it to a medium saucepan on the stove, along with 2 tablespoons sugar and a pinch of salt. Bring to a simmer, then remove from heat and add the chocolate. Allow chocolate to begin melting on its own, then stir it around until it is thoroughly combined with the coconut milk/sugar mixture. 6. Whisk the beaten egg into the chocolate filling (it will thicken), then pour everything into the hot crust. Turn oven temperature down to 300 degrees F. and return the tart to the oven. 7. Bake until the filling is set, but is still "a little wiggly" in the center, about 15 minutes. Sarah recommends checking after 13 minutes by "jiggling" the pan: only the center third should wobble. If it wobbles all the way to the edge, continue to bake for several minutes more. Note that the tart may take a bit longer to cook if you do use the coconut milk. 8. Remove the tart and allow it to cool before serving. After it's been out of the oven for 10-15 minutes, scatter sea salt across the surface. I used a large flake smoked sea salt for this: I broke some of the larger pieces up, but left others whole. 9. Remove tart from the pan sides and carefully transfer to a platter for serving. Sarah recommends letting it cool just until it slices easily, then serving it with a dollop of creme fraiche; I chilled mine and we ate it without adornment. Adapted from The Newlywed Cookbook: Fresh Ideas and Modern Recipes for Cooking With and for Each Other bu Sarah Copeland. In honor of my blog’s birthday, I’ll be hosting some giveaways this week and next. Check back soon for the first one! Congratulations on three years of blogging, it’s such a fantastic achievement and you’ve created a wonderful space here! This tart is a more than worthy way of marking the occasion. PS the photos in this post are absolutely stunning! Oh my goodness… what a wonderful thing to celebrate! And 500 posts? I’m not sure how many I’ve done, but I don’t think I’m anywhere close to that. Enjoy your celebrations with this wonderful tart! Congrats, Winnie! what a milestone. And I love that you picked salted caramel goodness to honor this occasion! CONGRAAATULATIONS, Winnie! Now I’ll take 45 slices, please. If I slice them really thin, I might be able to make that happen. Congratulations Winnie – beautiful photos. I’m craving that chocolate tart. Happy anniversary! This looks like a delicious way to celebrate. Happy, happy anniversary! Chocolate is definitely the right way to celebrate. Winnie, What a gorgeous post! First, congratulations. 500 posts? WOW! That’s dedication. As I am always told with books, it’s easy to start one, but it takes real heart to finish. Ditto for blogs, to keep it going week in and out takes serious love. I’m inspired by your dedication and endless creativity. And second, I love, LOVE this adaptation! I almost exclusively use whole wheat or whole wheat white flour in my kitchen (plus lots of yummy alternative flours), but used white flour in this book to make it widely accessible. I’m thrilled that this worked with your changes (and olive oil, lovely olive oil for the crust. brilliant!). But I am most excited about the coconut milk sub in the filling. I’m having a coconut year (coconut oil, raw coconut water, coconut flour…) and I’m going to promptly give this one a try. Brava, and thank you for the book love! Sarah- thanks SO much for this. I am so happy you approve! I might play around with some coconut flour in the crust next time…I’m a coconut fanatic, too! 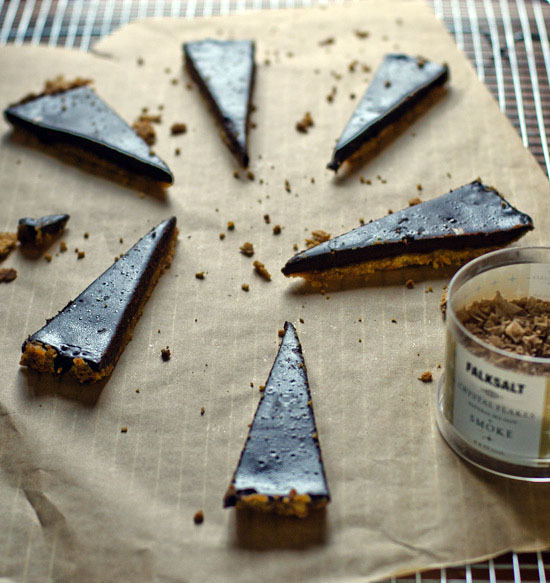 Oh, I shouldn’t have read this post before lunch… this tart looks SO delicious. Congrats on three years! You are an inspiration. Thanks Jeanine. And you inspire me right back! Congrats Winnie, on making it past the “terrible twos”! Looking forward to many more posts and years of your writing and creativity. I’m in possession of some of the best olive oil I’ve ever had, and I think this tart crust (and indeed the whole tart) is going to be one of the things I make with it. Congratulations on 3 years, hope to be reading you for many more! Congrats on three years, Winnie! You are an inspiration in more ways than one and I’m so glad to have “met” you. You are so right too – it’s the community that keeps me going. This tart sounds wonderful, and again, congratulations! Happy Birthday – so pleased and proud of all your accomplishments. I look up to you so much – now let’s meet in person!! YUM! I need say no more. Here’s to the next 500 posts, Winnie! You are a constant inspiration. This tart is gorgeous! Congratulations Winnie! I’m so glad to have found you through the blogosphere and only hope to meet you in real life one day ;D Have a great one!! Congrats on 3 fabulous years of blogging, Winnie. So glad that I met you along the way! 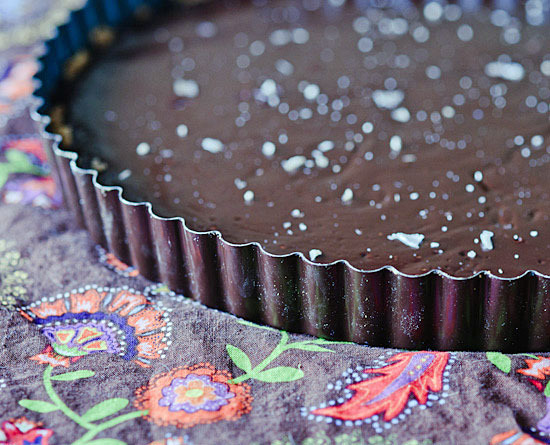 And… This chocolate tart looks absolutely divine. I can’t think of a better way to celebrate! Wow, that looks & sounds delicious! Congrats on your 3 year milestone! Congratulations on 3 years of blogging – what an accomplishment! Lovely tart, too. I’m especially smitten with the scatter of sea salt! congrats! I love this blog! What kind of camera do you use? Happy Anniversary Winnie! and many, many more. congrats on 3 years!! i look forward to all the posts that are coming – this tart looks delicious! Congratulations, Winnie. What a fabulous looking tart – perfect for a celebration. Happy blog birthday Winnie! Are you going to reunions? Yes I think so! For all day Saturday only, though…are you? That tart looks amazing and so delicious! Congratulations — belatedly — on your blog-anniversary! A terrific milestone and a great excuse to look back at all that you’ve written and feel incredibly accomplished. What a fabulous looking tart! Happy number 3! Your dedication and creativity are very inspiring – very impressed by 500 blog posts….that is some work! Major congratulations, Winnie, on your blog’s 3rd birthday/anniversary! I’m now in the position you were in 3 years ago – I’m in my first blogging year, visit blogs that are more established for writing, photo, and recipe inspiration. Your blog fits in all 3 categories. 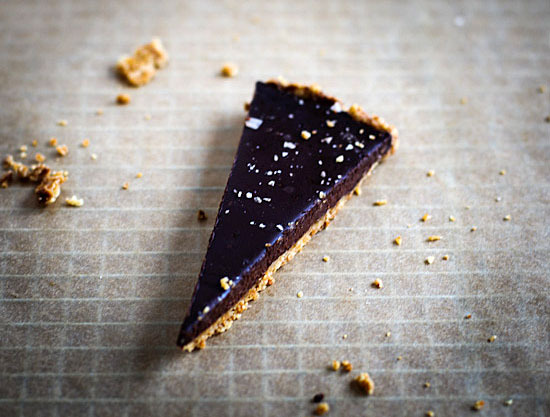 Keep up the great way you connect with all of us, and I’ll definitely be trying this chocolate tart. I LOVE that you used coconut milk, and will do that too!! Happy Birthday to you and your wonderful blog. I, too, would love to sit in the your kitchen, eat a slice of this tart and chat about all the wonderful things you have to offer!